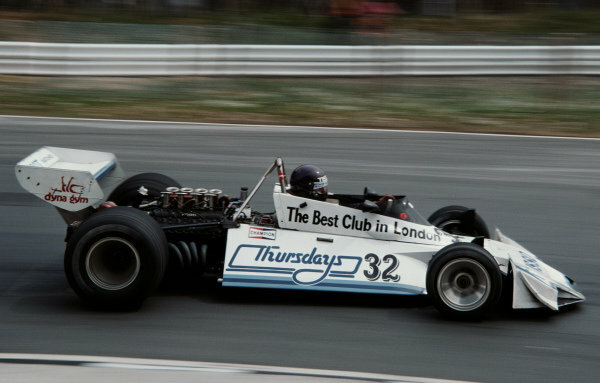 Bob Evans, Brabham BT44B Ford, during practice. 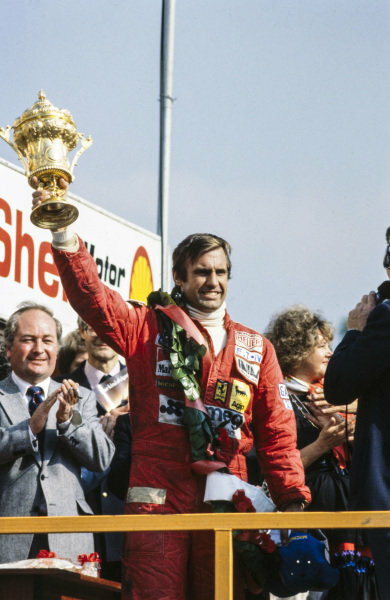 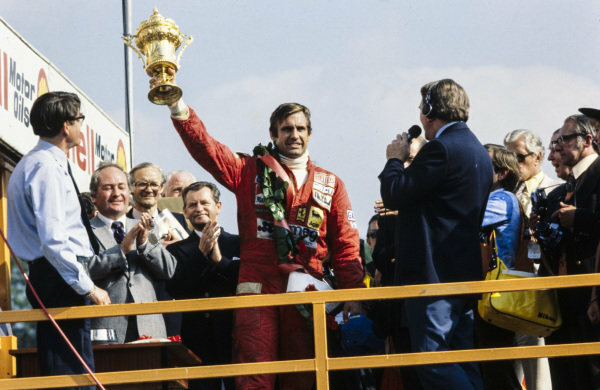 Carlos Reutemann celebrates victory on the podium. 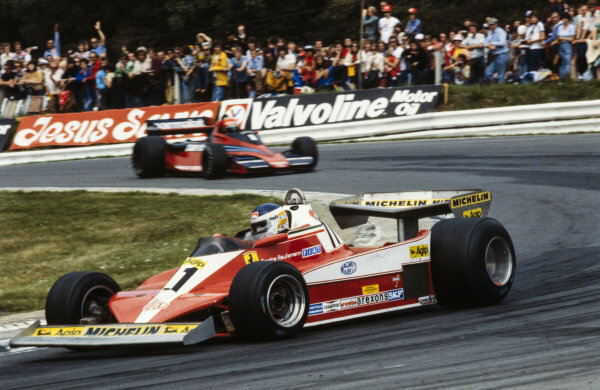 Carlos Reutemann, Ferrari 312T3 leads Niki Lauda, Brabham BT46 Alfa Romeo. 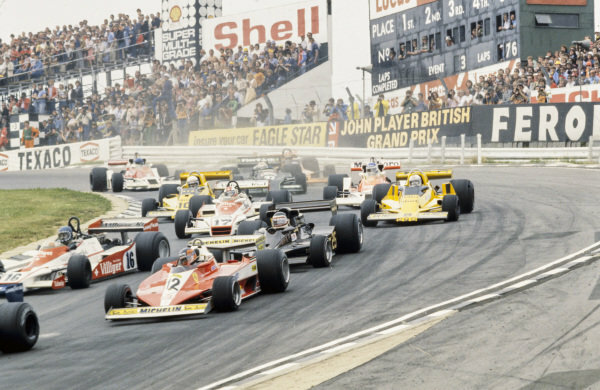 Gilles Villeneuve, Ferrari 312T3 leads Hans-Joachim Stuck, Shadow DN9 Ford, Hector Rebaque, Lotus 78 Ford, Clay Regazzoni, Shadow DN9 Ford and Jochen Mass, ATS HS1 Ford at the start. 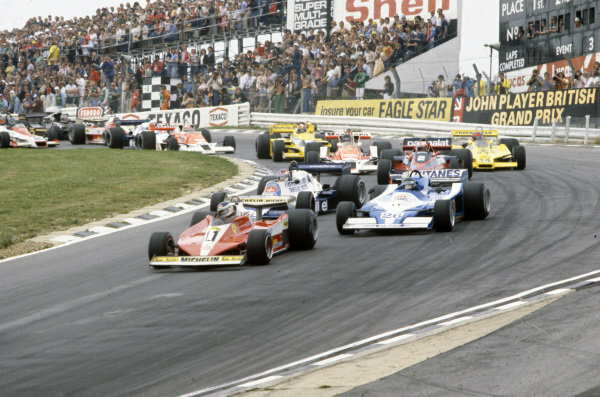 Mario Andretti, Lotus 79 Ford leads Ronnie Peterson, Lotus 79 Ford, Jody Scheckter, Wolf WR5 Ford and Alan Jones, Williams FW06 Ford. 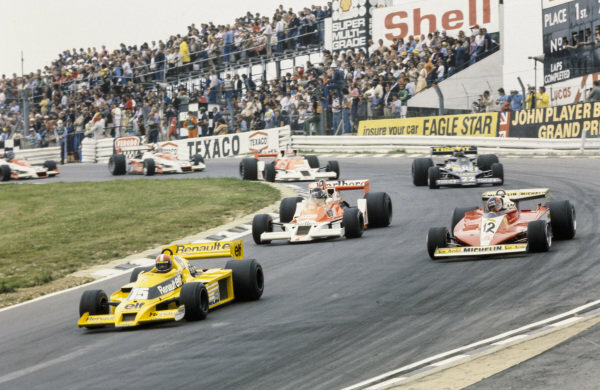 Jean-Pierre Jabouille, Renault RS01 leads Gilles Villeneuve, Ferrari 312T3 and James Hunt, McLaren M26 Ford. 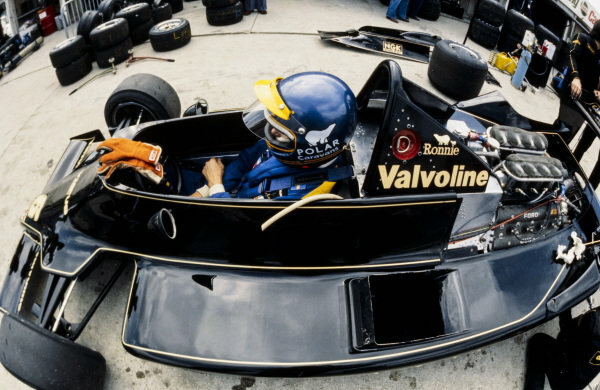 Ronnie Peterson sits in the cockpit of his Lotus 79 Ford in the pitlane. 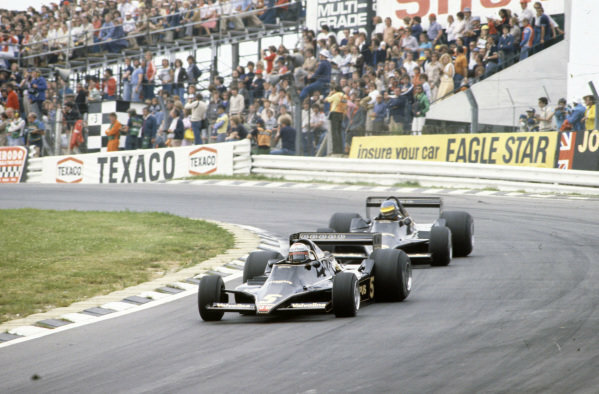 Mario Andretti, Lotus 79 Ford leads team mate Ronnie Peterson, Lotus 79 Ford and Jody Scheckter, Wolf WR5 Ford. 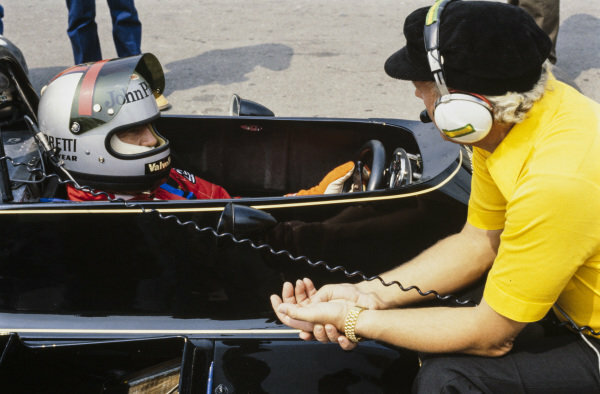 Mario Andretti talks with team boss Colin Chapman in the pits. 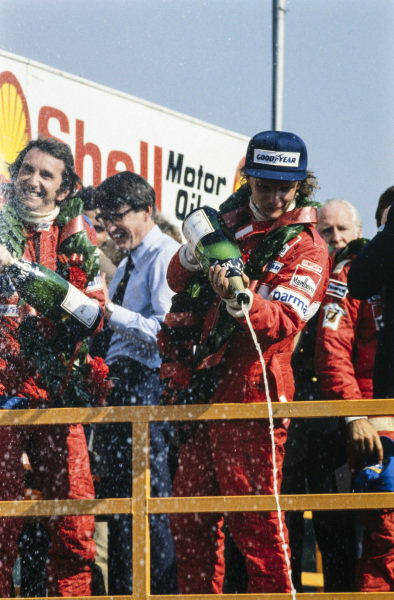 Niki Lauda celebrates 2nd position on the podium with team mate John Watson, 3rd position. 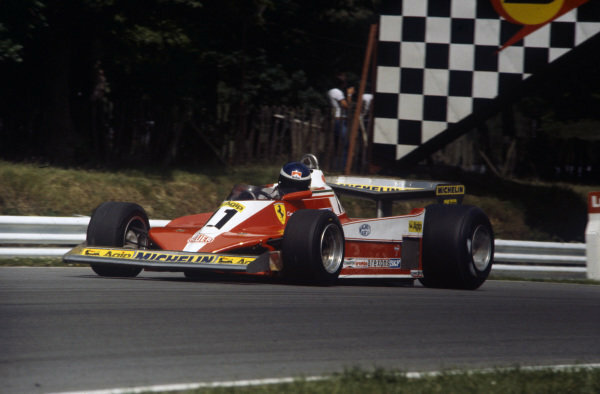 Gilles Villeneuve commiserates his retirement with Ferrari team members. 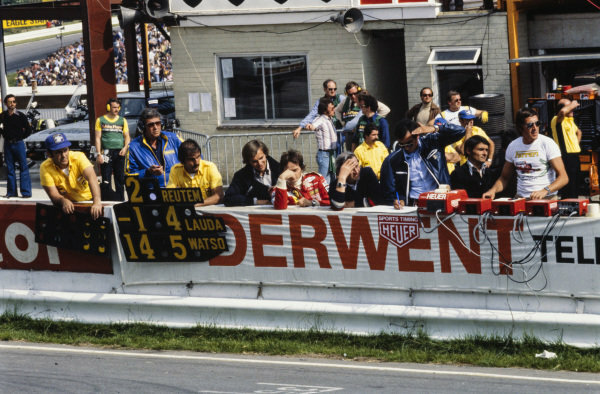 Pierre Dupasquier of Michelin is also on the pit wall. 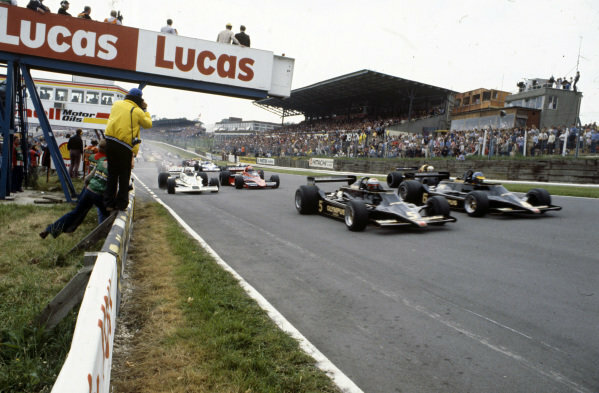 Photographers take pictures of Mario Andretti on the grid in his Lotus 79 Ford. 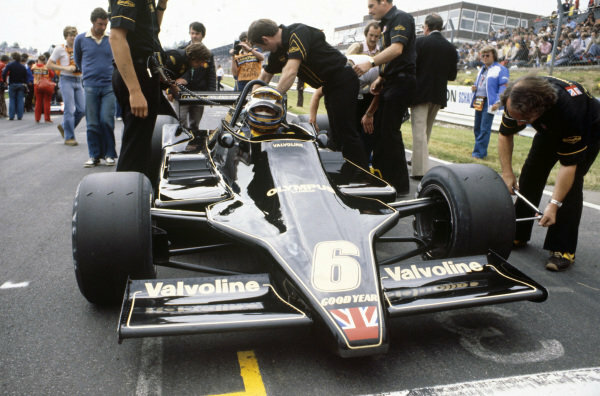 Ronnie Peterson, Lotus 79 Ford on the grid. 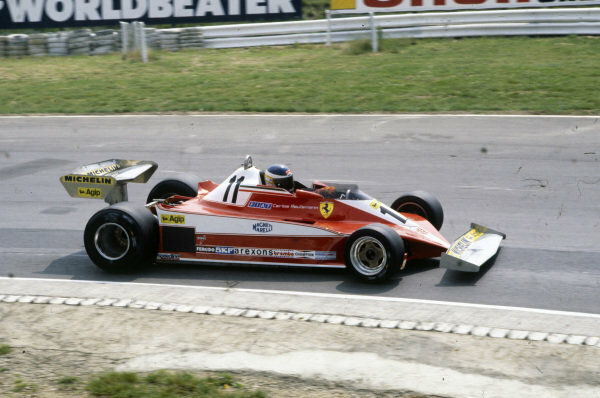 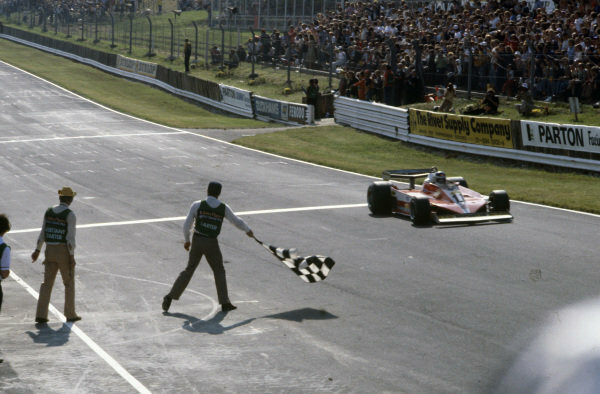 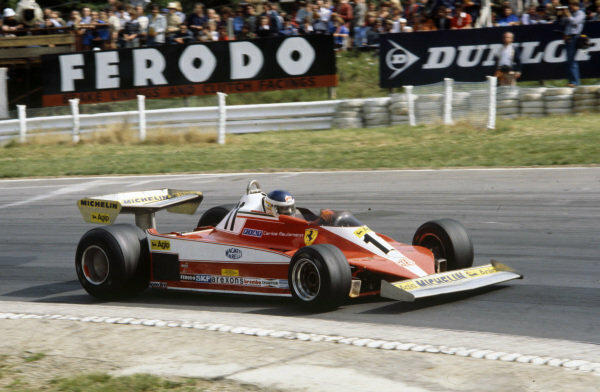 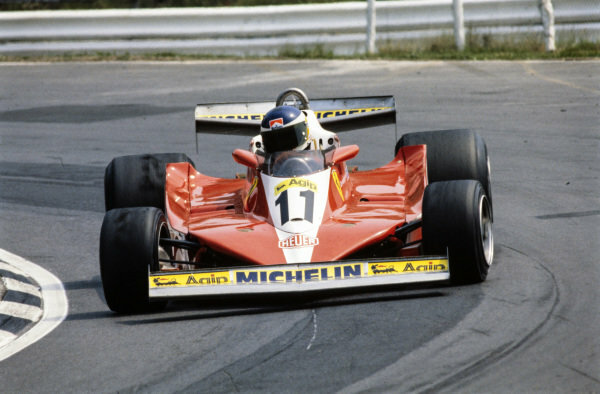 Carlos Reutemann, Ferrari 312T3 takes the chequered flag for victory. 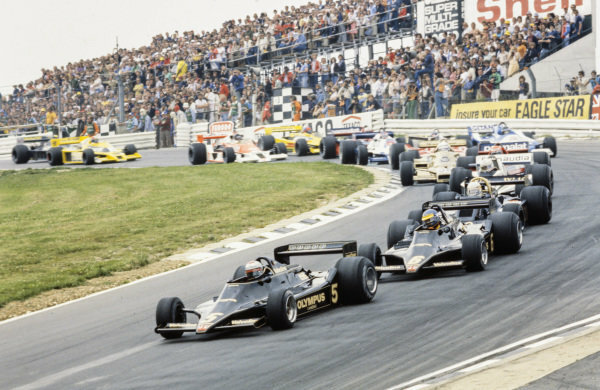 Pole sitter Ronnie Peterson, Lotus 79 Ford leads teammate Mario Andretti, Lotus 79 Ford and Jody Scheckter, Wolf WR5 Ford at the start. 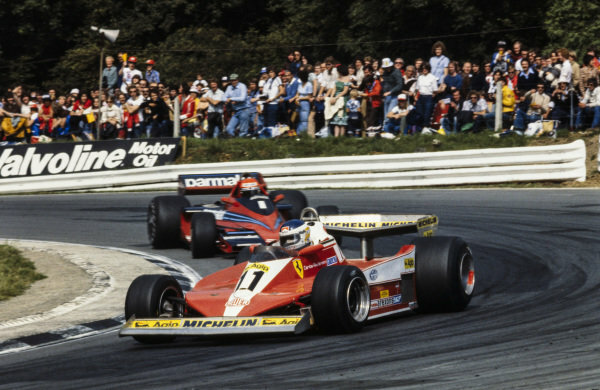 Mario Andretti, Lotus 79 Ford leads teammate Ronnie Peterson, Lotus 79 Ford. 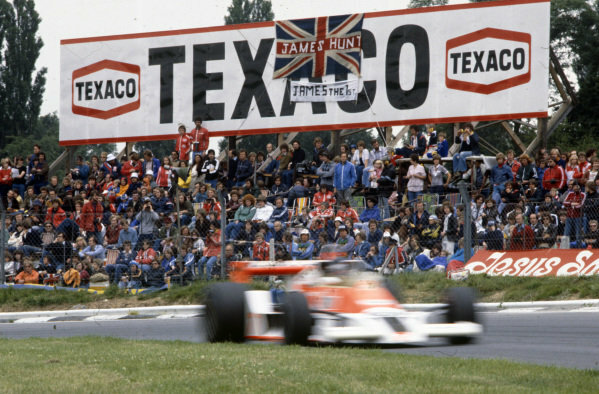 James Hunt passes a group of fans with flags of support in his McLaren M26 Ford. 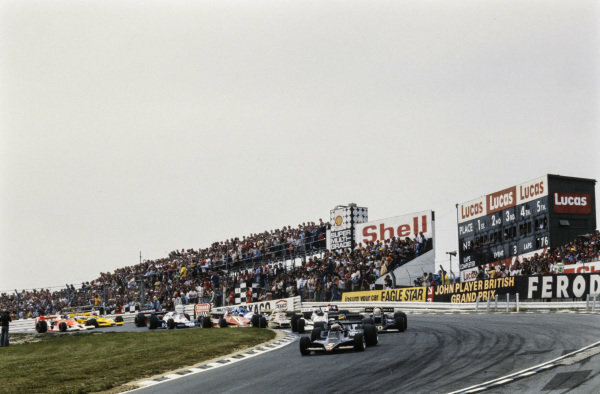 Carlos Reutemann, Ferrari 312T3 leads Jacques Laffite, Ligier JS9 Matra and Patrick Depailler, Tyrrell 008 Ford.